Dr. Patino’s perfect storm is pretty straight-forward. He blames four factors for our “pandemic” of obesity and obesity-related diseases. Factor one is what he calls chronic physical deprivation. That’s a fancy way of saying that most of us don’t exercise enough. Riding the couch is not the way to burn off calories, nor a way to maintain muscle mass and flexibility. Factor two in his perfect storm is a reliance on fast food. He blames our fast-paced lifestyle for our frequent trips to those golden arches. The days of yesteryear were slower, with home cooking the norm. Modern life demands drive-through dining, and that leads us to eating foods that are not ideal for our bodies. Factor three is related to factor two. Most of what we eat has a high glycemic index. This means that the food digests very quickly, triggering a torrent of insulin to be secreted. This leads to fat deposits and food cravings a few hours later. The final factor in the perfect storm is what Dr. Patino calls habitual over-consumption Serving sizes have mushroomed over recent years. This single factor has led to significantly higher daily caloric increases, and resultant obesity. The Patino Diet is yet another glycemic index diet. The focus is on maintaining steady levels of blood sugar and insulin. Dr. Patino recommends foods like lean meats, vegetables and legumes. He suggests minimizing consumption of foods like potatoes, rice, pasta, bread, processed sugar and any other highly-processed foods. 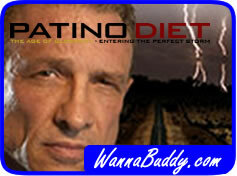 His book, “The Age of Globesity” has meal plans and recipes to help you. The Patina Diet does not force you to count calories. 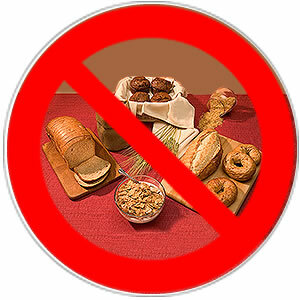 Instead, you focus on the glycemic index of the foods that you eat. By eating low glycemic index foods you lose weight, burn off fat and become healthy again. Like most glycemic index diets, you can maintain this eating lifestyle forever. You may not end up looking like Dr. Patino, who looks a lot like a WWE wrestler, but you will probably lose weight and feel better.